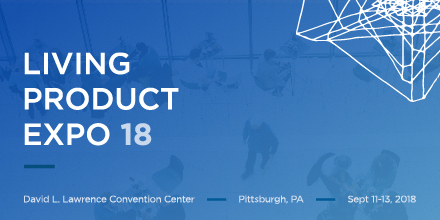 Sustainable Pittsburgh is partnering with the International Living Future Institute for the fourth Living Product Expo September 11-13 here in Pittsburgh. At the Expo, you’ll connect with 700+ leaders in sustainable design, healthy materials, interior design, and health & wellness. The Expo brings together leading minds in the design and manufacturing industries to lead the revolution toward healthy and beautiful spaces for everyone. You’ll experience three game-changing days of engaging education sessions, inspiring keynotes, an exclusive trade show brimming with leading-edge products, and much more!